With the passing of James Avery, see where the rest of the cast is now. 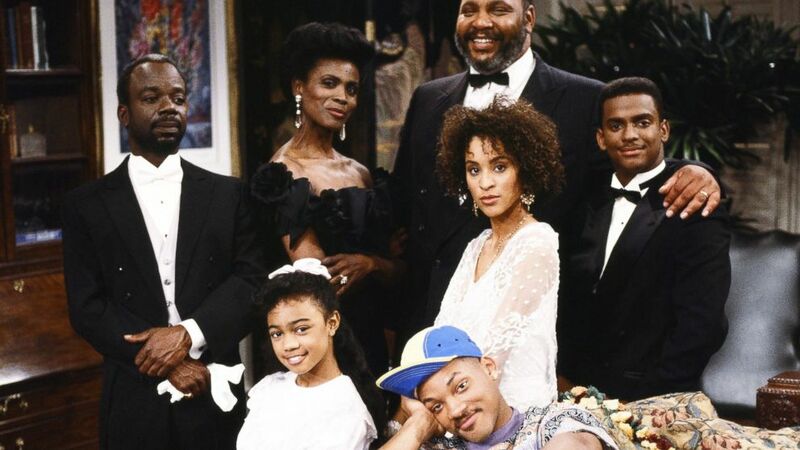 camera (NBC/Getty Images) The cast of "The Fresh Prince Of Bel-Air" from left: Joseph Marcell as Geoffrey; Janet Hubert as Vivian Banks; James Avery as Philip Banks; Karyn Parsons as Hilary Banks; Alfonso Ribeiro as Carlton Banks. Front: Tatyana Ali as Ashley Banks and Will Smith as William "Will" Smith. intro: James Avery, the actor who played Uncle Phil on "The Fresh Prince of Bel-Air," died yesterday in Glendale, Calif. He was 68. His sudden death from complications of open heart surgery brought back nostalgia for the show Avery starred in from 1990 to 1996 - a show that launched the career of megastar Will Smith. After news of the death broke Tuesday, "Fresh Prince" co-star Alfonso Ribeiro tweeted, "I'm deeply saddened to say that James Avery has passed away. He was a second father to me. I will miss him greatly." So where is the rest of the cast now? Where are Aunt Vivian (both of them) and Ashley Banks, and of course Geoffrey the Butler? text: After "Fresh Prince," unless you've been living under a rock, you know that Will Smith, 45, became one of the biggest movie stars in the world. The movies that made him an icon include "Independence Day," "Bad Boys," "Men in Black" and "Ali," where he was nominated for an Oscar for his portrayal of Muhammad Ali. Smith's star is still shining bright as he is set to star in a slew of movies in the coming years, including "Focus," "Hancock 2" and a rumored "Bad Boys 3." Smith's also got a famous family. He married actress Jada Pinkett in 1997 and they have son Jaden, who starred in the "Karate Kid" remake in 2010, and daughter Willow, who released hit song "Whip My Hair," also in 2010.
text: So, what happened to the Tom Jones-loving Carlton - Will's preppy, innocent cousin who tested the Fresh Prince's patience at every turn. After "Fresh Prince," Ribeiro, 42, starred in the show "In The House," which also featured LL Cool J until 1999, then had a bunch of cameos in shows and movies like "Love Wrecked" in 2005, opposite Amanda Bynes. Aside from his work on screen, Ribeiro married Angela Unkrich in October of 2012 and they had a son Alfonso Lincoln Ribeiro, Jr. who was born on October 27, 2013. He also has a daughter Sienna from a previous relationship. quicklist: 3 title: Karyn Parsons - Hilary Banks text: Karyn Parsons epitomized the Valley Girl as Hilary Banks, marrying for fame and in love with her looks. Along with her stint on "Fresh Prince," Parsons earned starring roles in movies including "Major Payne" in 1995 and "The Ladies Man" in 2000, and was last seen on TV in the early 2000's in a show titled "The Job," which starred Denis Leary. Parsons, 47, married to director Alexandre Rockwell in 2003 and the two have a daughter Lana, also born that year. Their son Nico was born in 2007.
text: Ali was only 11 years old when she started on "Fresh Prince," but little Ashley quickly grew up on the show. When the show ended in 1996, Ali was featured in "Kiss the Girls" starring Morgan Freeman and "Jaw Breaker" opposite Rose McGowan. More recently, Ali, now 34, has been featured in "Glory Road" on TV in "The Young and the Restless" from 2007 to 2013. When she's not acting, Ali, can hold her own with anyone. The actress earned a degree from Harvard University in 2002 and traveled the country in support of President Obama in 2008.
text: How could Joseph Marcel, 65, ever top his iconic role as Geoffrey the Butler in "Fresh Prince"? Who could forget when Will forced his butler to come to school and pretend to be street poet Raphael de la Ghetto? After the show ended, Marcell had a recurring role in "The Bold and the Beautiful" from 2003 to 2004 and then in England's "EastEnders" in 2006. Marcell was trained at the Royal Shakespeare Company and is a regular on the London stage, being featured in productions of "King Lear" and "Richard III." title: Janet Hubert - Vivian Banks 1 text: Hubert, who studied dance at Juilliard, was the first woman to play Will's Aunt Viv. Hubert left the show in 1993, when at the time she also became pregnant. Several rumors that she violated her contract by becoming pregnant and that she clashed with the show's star Will Smith surfaced, but no one knows for sure why she left. After she left, Hubert, 57, popped up on "The Jamie Foxx Show" and "NYPD Blue" before landing a role in "The Job" alongside her former "Fresh Prince" co-star Karyn Parsons. She also had a cameo on "Friends" in 2002, then was featured on "One Life to Live" from 2005 to 2010.
title: Daphne Maxwell Reid - Vivian Banks 2 text: Maxwell Reid replaced Hubert in 1993 and the show didn't skip a beat. After 1996, she worked from time to time on shows "Sister, Sister," "Crossing Jordan," "Eve" and "Let's Stay Together." But she never again played an iconic character like Will Aunt Viv. Now, Reid, 65, and her husband Tim own and operate New Millennium studios in Virginia. text: Remember when little Nicky joined the gang in 1994? Bagley not only starred as Will's little cousin on "Fresh Prince," he also played Smith's girlfriend's son in "Independence Day." Well, little Nicky is 25 now and attended California State University Northridge, studying cinema and television arts. He's currently filming "Legend," a horror flick set to come out next year, starring Verne Troyer and Marlon Young.